Results of the Licensure Examination for Teachers (LET) held in March 2015 are released online. View the Teachers Board Exam passers list here. The Professional Regulation Commission (PRC) and the Board for Professional Teachers (BPT) announces that 12,103 elementary teachers out of 44,144 examinees (27.42%) and 17,904 secondary teachers out of 56,596 examinees (31.63%) successfully passed the Licensure Examination for Teachers (L.E.T.) given last March 29, 2015 in Singapore and 17 testing centers all over the Philippines. Oath Form or Panunumpa ng Propesyonal; 2) latest Community Tax Certificate (Cedula); 3) 1 piece passport size picture (colored with white background and complete nametag); 4) metered documentary stamp for the Oath Form; and 5) the Initial Registration Fee of P600 and Annual Registration Fee of P450 for 2015-2018. Successful examinees should PERSONALLY register and sign in the Roster of Registered Professionals. 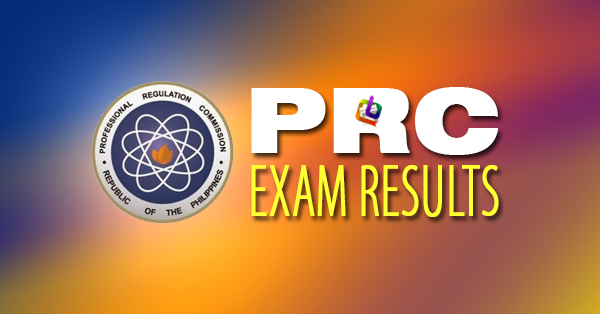 Takers and everyone who waited for LET Results: March 2015 Teacher Board Exam Results release are encouraged to bookmark and visit this page more often, like our Facebook page, follow us on Twitter, add us on Google+, and/or subscribe to our daily newsfeed via RSS or Email for updates.